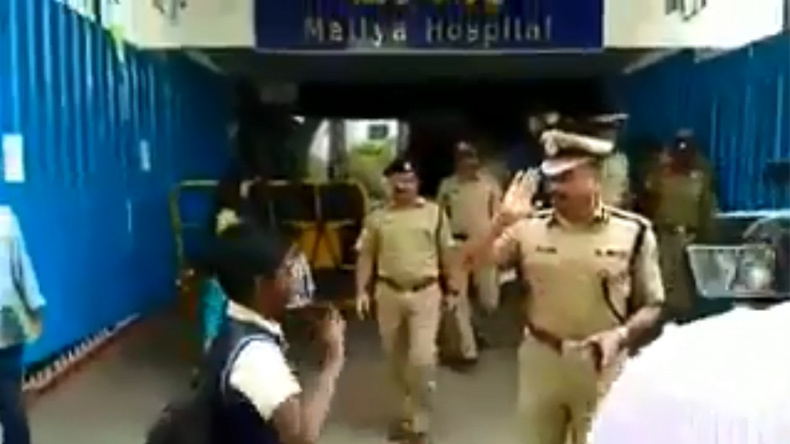 In a video shared by Bengaluru City Police on its official Twitter handle, police commissioner T Suneel Kumar was seen saluting back at a schoolboy, who first stopped to salute the police official. The video was posted on March 9 and has garnered thousands of views online. As per reports, T Suneel Kumar has joined Bengaluru City Police in August last year. “A respect given by a uniform to a uniform shows the value of discipline,” reads the caption of a recent video uploaded by Bengaluru City Police on its official Twitter handle. The gesture of respect was caught on camera and went viral the moment it was shared online. The video was uploaded on March 9 and has garnered over 1,300 likes on Twitter. On Facebook, the video has nearly 92,000 views and got shared for 1,600 times. The act of respect is gathering a lot of praise on the social media networking sites. In the video shot on camera, Bengaluru city police commissioner T Suneel Kumar was walking with some of his colleagues outside Bengaluru’s Mallya Hospital. Suddenly, he was stopped by a passing boy who took a moment to salute him. After witnessing boy’s gesture, the police commissioner salutes backs at the schoolboy. The entire incident came out to be the perfect example of respect is a two-way game. As per reports, T Suneel Kumar has joined Bengaluru City Police in August last year. A respect given by a uniform to a uniform shows the value of discipline. @CPBlr , Shri. T Suneel Kumar, IPS and a school boy respecting each other, capturing the proud moment of respect and discipline. That's great sight to watch…. A citizen feels a lot safer when the top cop respects them…finally .. The relationship between police and residents in going in right direction… All the best for your the bangalore police team.. For alli their hard work..
A rare cop in Police service and a rarer picture in Indian history. Bengaluru top cop sets an example for his team and many arrogant cops (Traffic/Law&Order) on duty in Bengaluru.